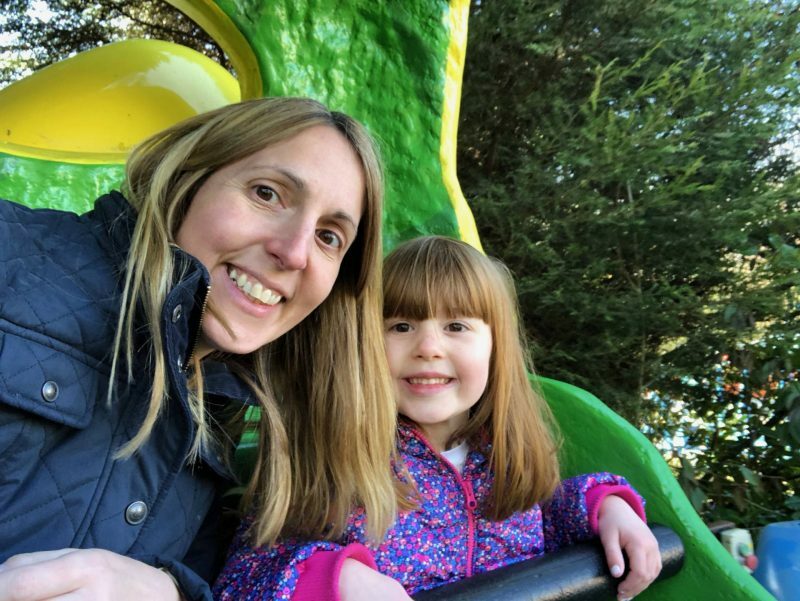 The last time that I went to Alton Towers it was before I had the girls. I love the big rides and in fact I’ve been to Alton Towers a few times and loved it every time. 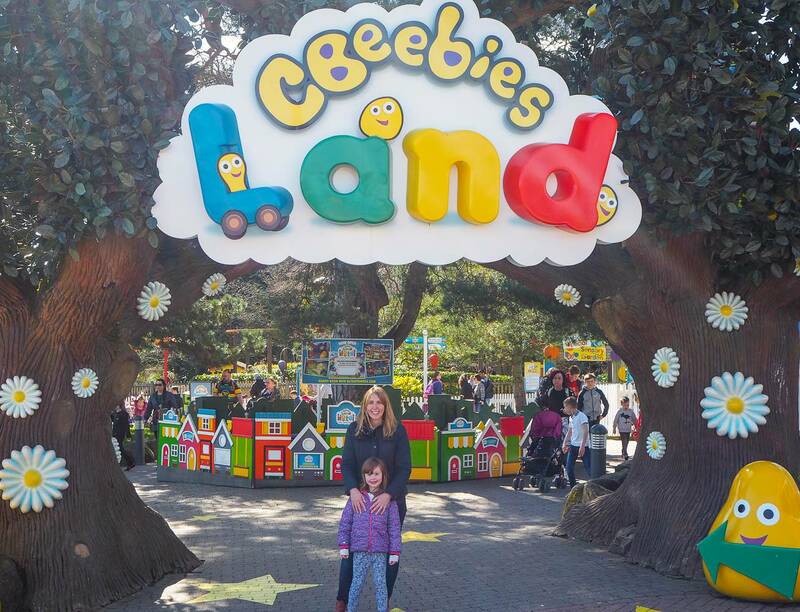 It’s been on my mind to take the girls to Cbeebiesland at Alton Towers for a while now. I knew they would love the rides and this year they are the perfect age for it. Holly is 3 and Alice is 5 years old. As we’re Merlin Annual Pass Ambassadors this year, it was the perfect time for us to go. We decided to make a trip of it, as it’s a bit of a journey for us, we booked to stay at the Enchanted Village. I will be doing a separate post about this soon. After a good nights sleep it was time to head over to the theme park. We had planned on getting the monorail from the hotel area across to the theme park, but unfortunately it wasn’t working and we had to make the 15 minute walk. As we had stayed over the night before, hotel guests are allowed in the park 30 minutes before it is opened to the general public. However, not all rides are open early. 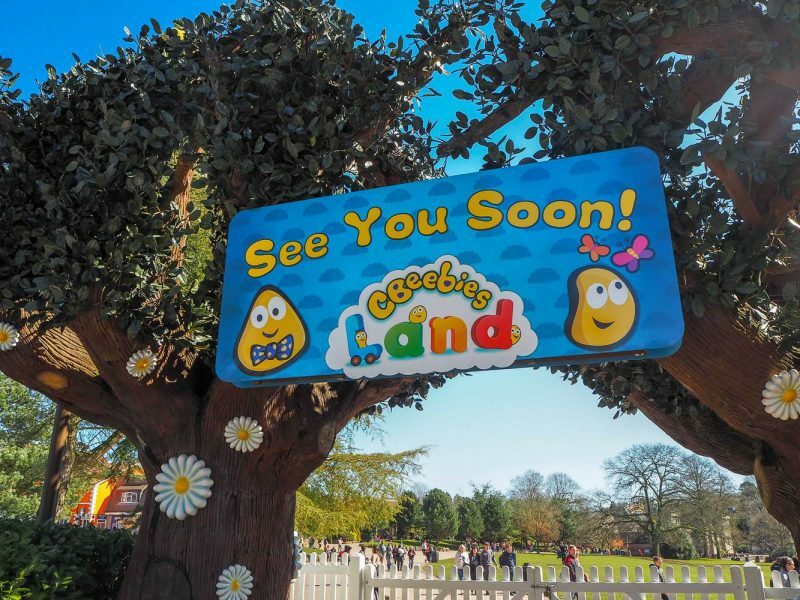 We headed straight to Cbeebiesland, which I was pleased to see was right near the entrance. Perfect for little legs. 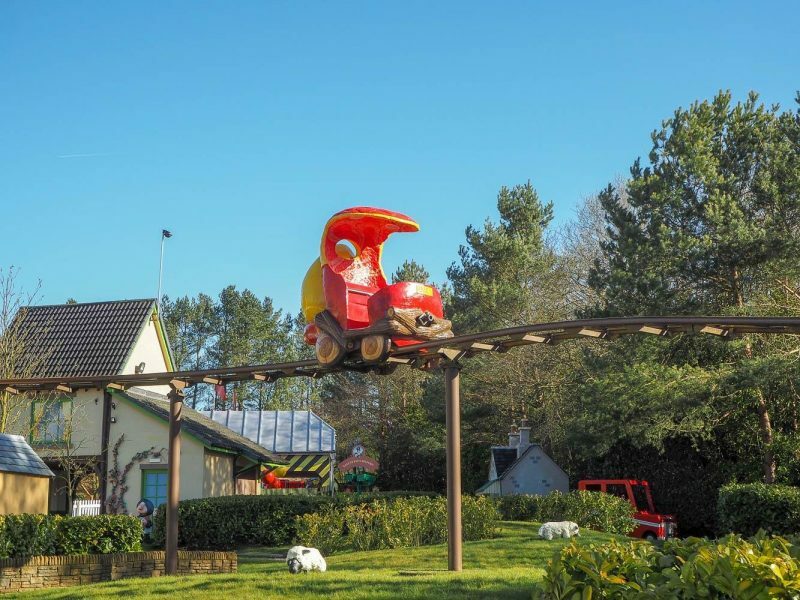 There were 4 rides open early in Cbeebiesland, which definitely made it worth getting there early for. 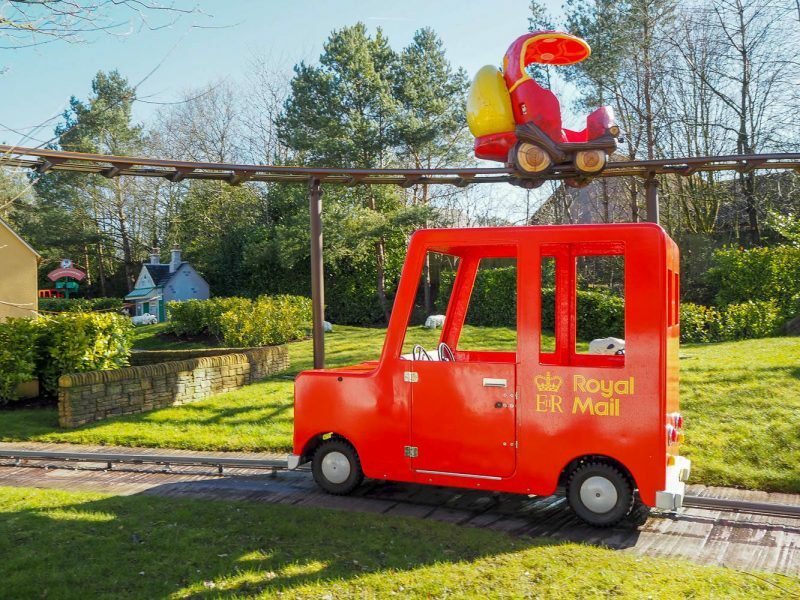 We hardly queued at all for the Postman Pat ride. 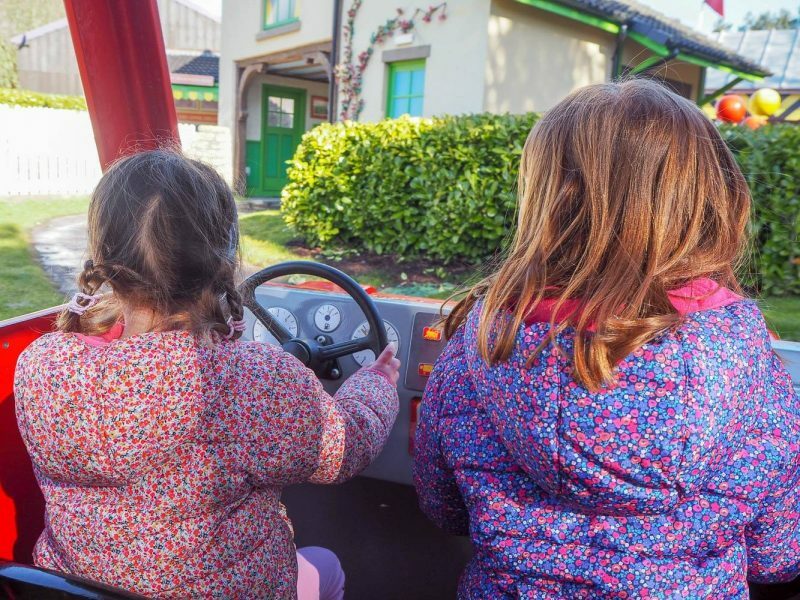 The girls loved driving Postman Pats van. I love that an old favourite of mine is still around. When Alice was 2 years old, she LOVED Postman Pat and used to carry her Jess around everywhere. 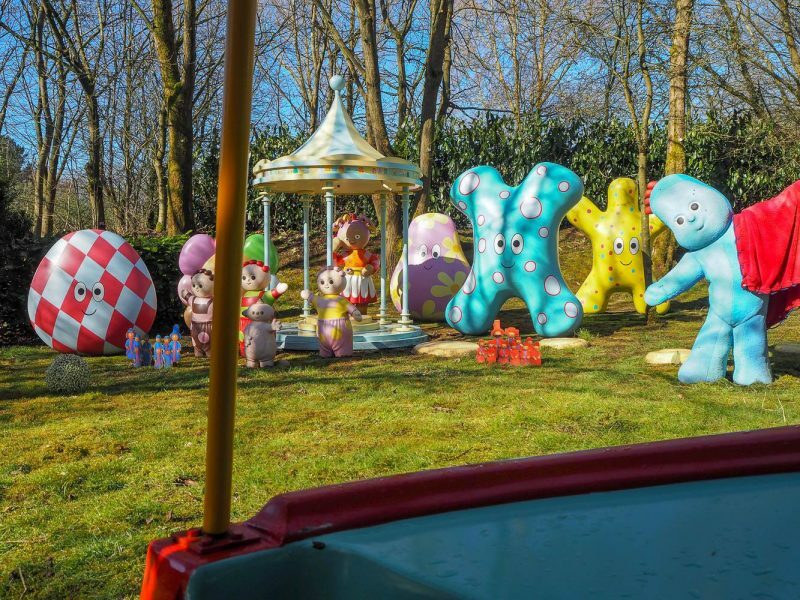 We then quickly joined the queue for the In The Night Garden ride, with only 10 minutes left before the park opened to everyone else. We did well to get on 2 rides in that first 30 minutes. 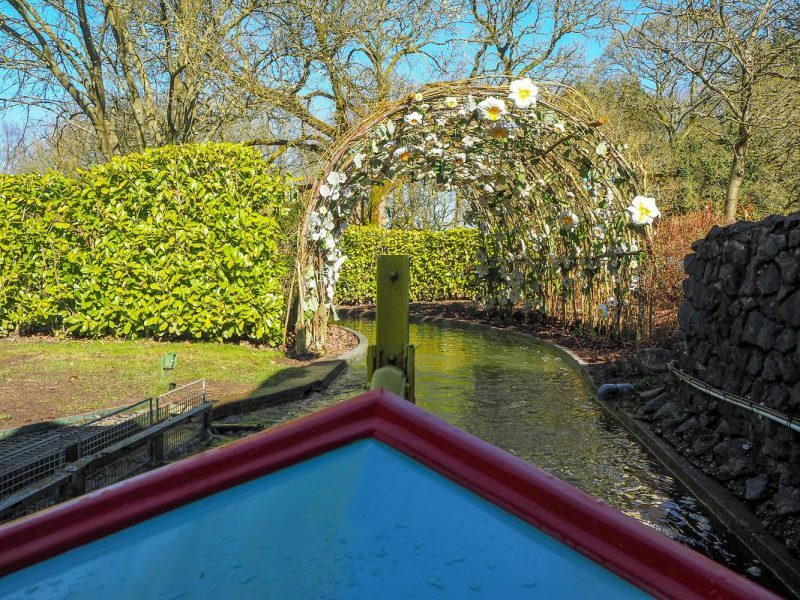 The In The Night Garden ride is a lovely gentle boat ride and a nice way to warm the girls up to going on bigger rides. It’s great as you go around seeing all your favourite characters. Upsy Daisy being the girls favourite. 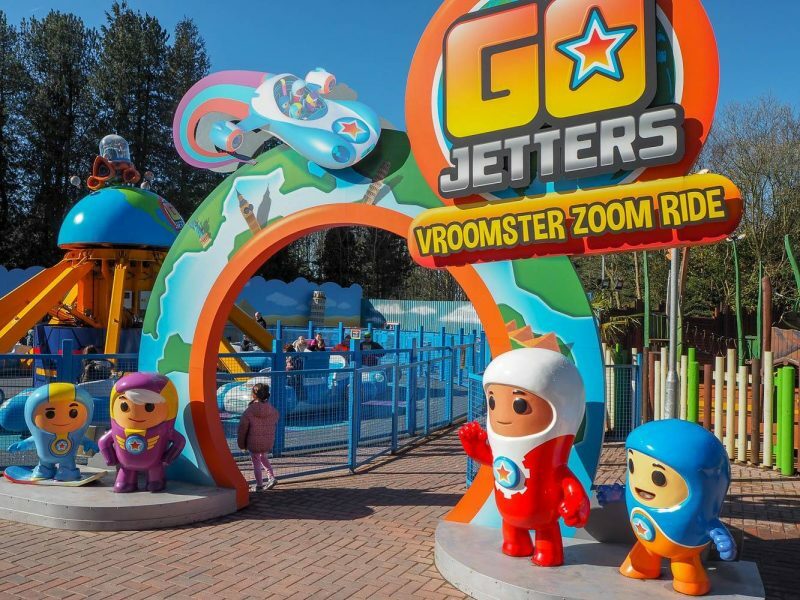 We also got a good look at some of the other rides as we went around and Alice spotted the Go Jetters ride that she wanted to go on next. 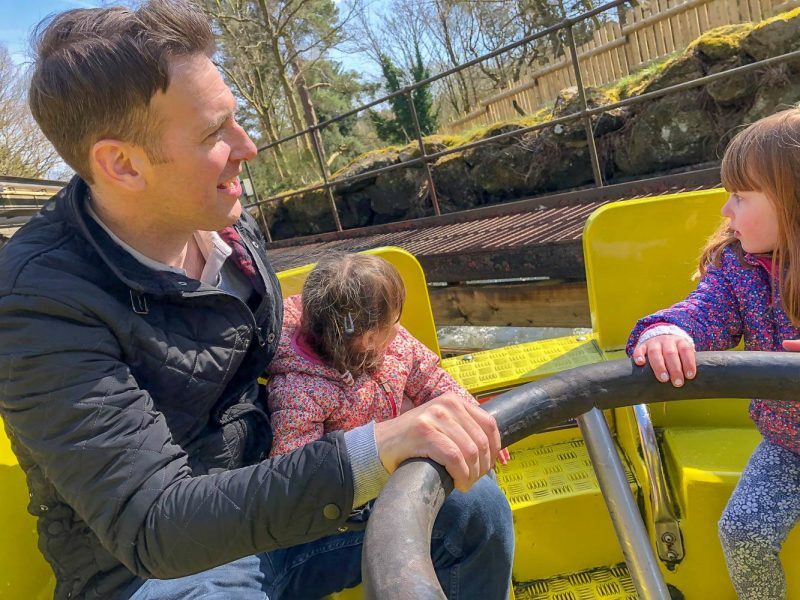 Holly decided this ride wasn’t for her and so Alice and Andy went on it. They only queued for 15 minutes thankfully and Holly was more than happy watching them. 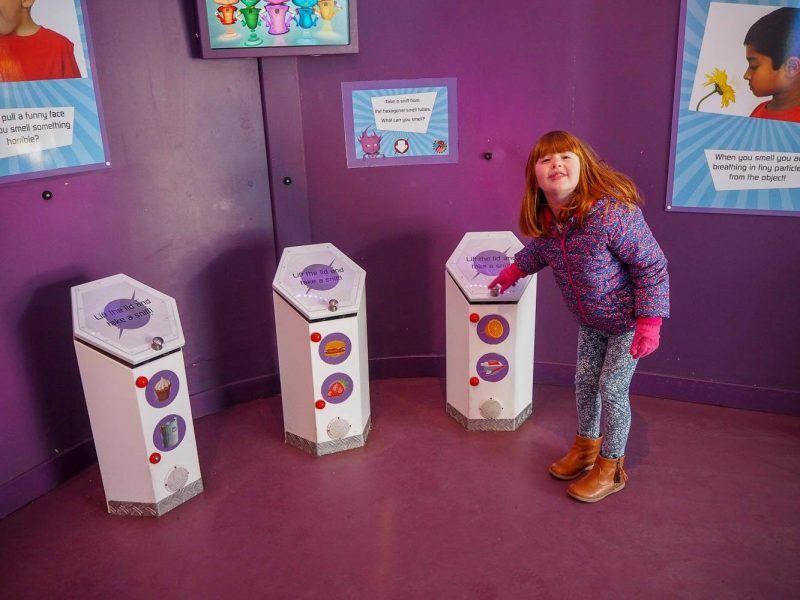 On the Go Jetters ride you have a leaver in your car, that you can move to make it go up and down. Alice loved to be as high as possible. 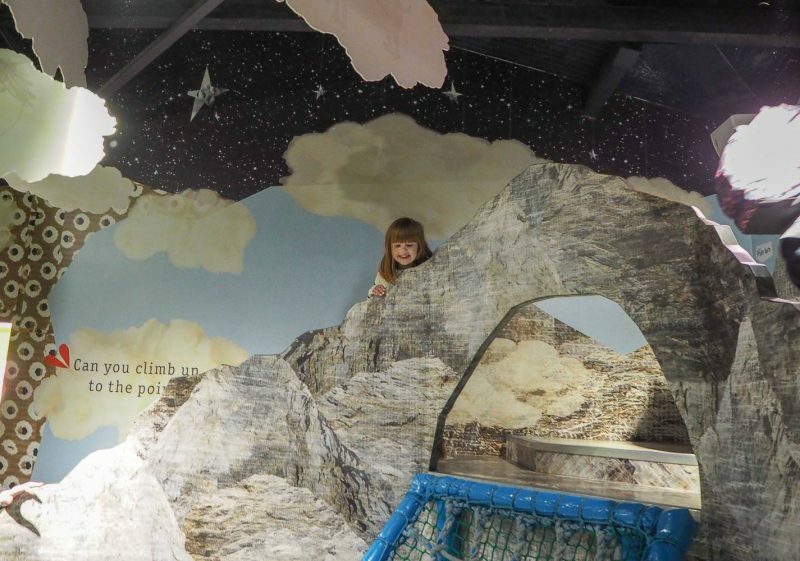 Maybe she is a little dare devil like her mummy after all! 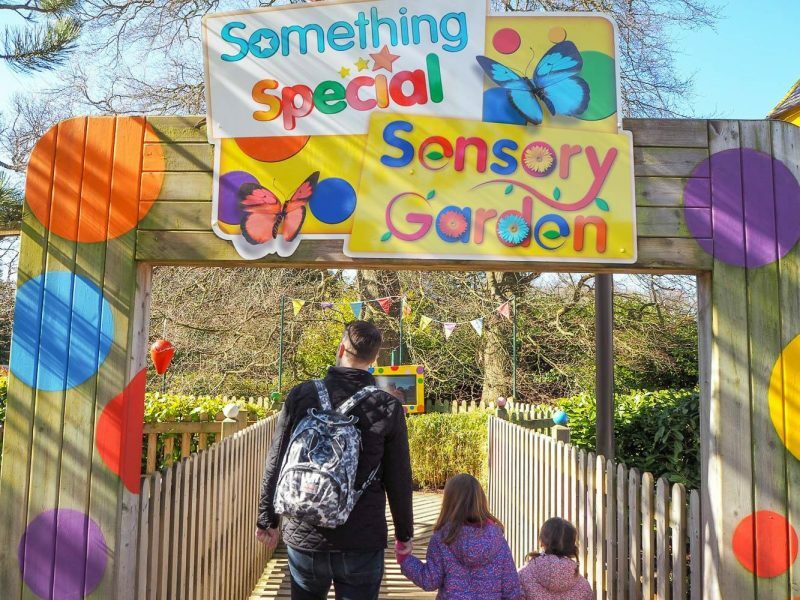 We then walked through Mr Tumble’s Sensory Garden. 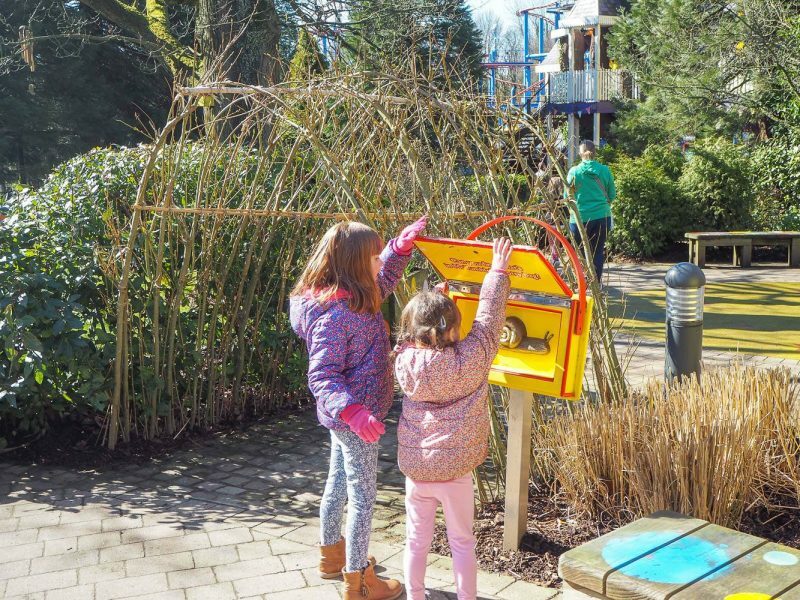 Dotted around is Mr Tumble’s Spotty Bag and you look inside and find an insect, which you then have to find in the garden. It was a fun one and didn’t take too long. It’s nice to have ones that you don’t have to queue up for to do in-between. We then had time for one more ride before lunch and we went on the Get Set Go Tree Top Adventure. This looked great fun and it was the longest queue that we had, with a 50 minute wait. I think the main reason it was longer, is because each car only holds 2/3 people. Which meant for us as a family of 4 we needed 2 cars, whereas most other rides we can all fit on together. This was both Alice and my favourite ride of the day and you got a great view across CBeebiesland. 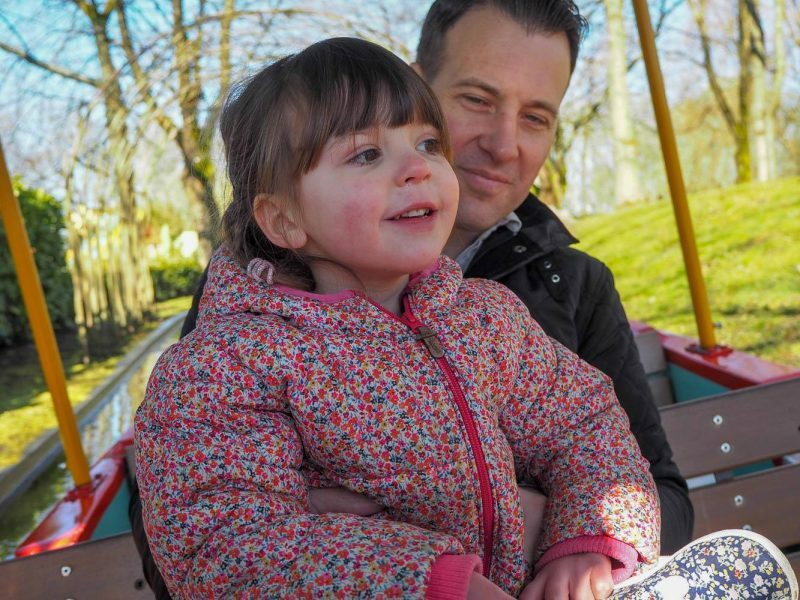 It was then time for lunch and Alice asked if they had a pizza and pasta restaurant like we went to at Chessington World of Adventures. I had a quick look at the map and saw that they did over in Katanga Canyon. I also spotted that this is where the Congo River Rapids ride was, which would be great to go on while we are over there. 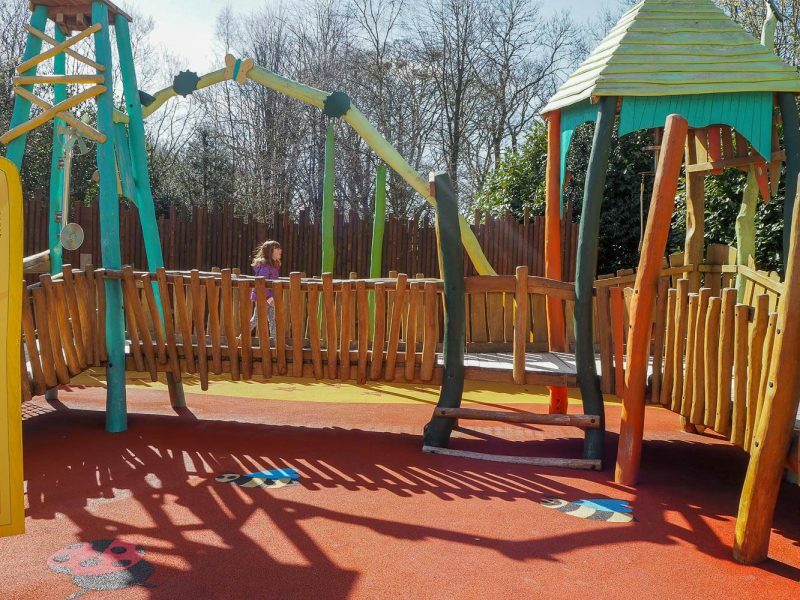 The pizza and pasta buffet restaurant is great value, costing £12 for an adult and £8 for a child. This includes all food and unlimited drinks. 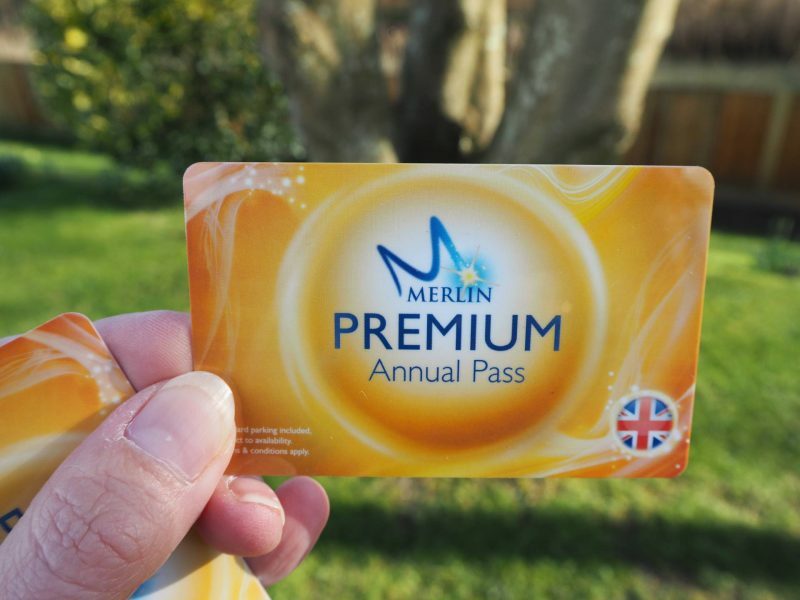 As Merlin annual pass holders, you receive 20% off too. After we had filled up on food, it was time to head to the Congo River Rapids. This is one of my favourite rides and it was lovely to share it with the girls for the first time. The queue was quite long, but moved really quickly and it wasn’t long until we were on. Alice always gets worried about getting wet on this type of ride, but with the promise I had spare clothes in the bag she cheered up and loved the ride. Holly was cheering to go faster! It was then time for an ice cream. No day trip is complete without one! We sat by the most gorgeous lakes, which would be perfect for a picnic in the summer. 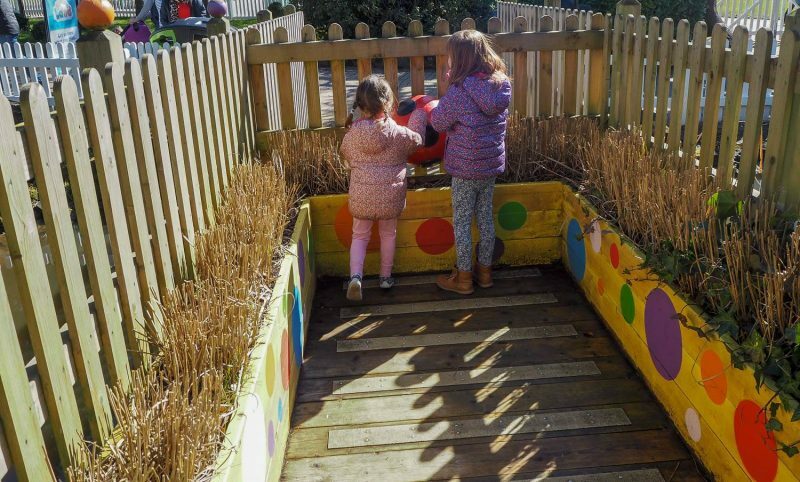 We then headed back to Cbeebiesland for a couple more rides before we had to make the journey home. 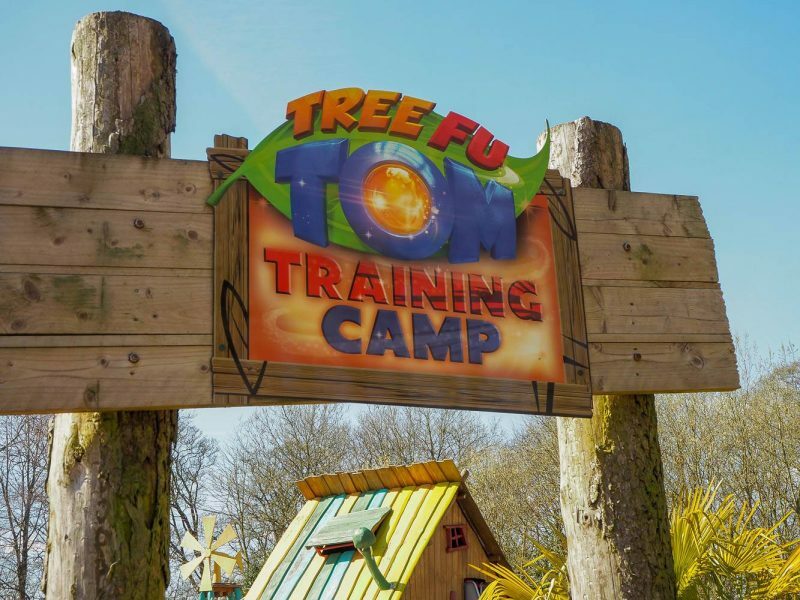 First was the Tree Fu Training Camp, which is like an assault course and the girls loved making their way around it. Alice was more than capable to do it all and Holly just needed a bit of help at times. There is this rock pool area, which you climb up and it was the perfect one to end on. After a wonderful day and I still can’t believe how lucky we were with the weather. It was time to go home. We had lots of fun and the girls loved it even more than I could have hoped for. Oh you had a perfect day weather wise for your visit. I’d love a merlin pass but I need to persuade my husband!!! Looks like you had a fab time! We are going in a few weeks time, I’m keeping my fingers crossed for mostly dry weather and short queues. 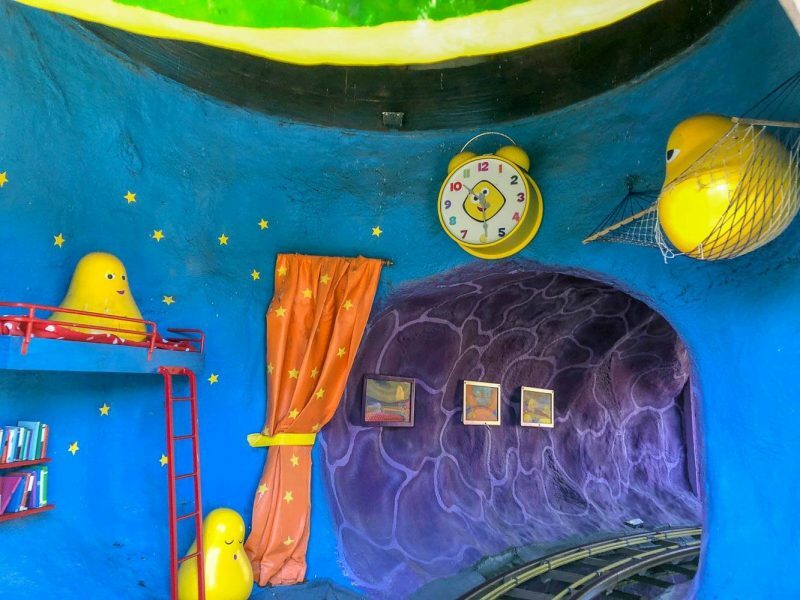 Cbeebiesland looks great. The last time I went to Alton Towers was 1996! I was 15 and me and my brothers had wanted to go for ages. My Dad agreed and we had been staying with him in Lincolnshire for the weekend and remember the drive there seemed to take forever! We queued for over an hour to go on the Nemesis! 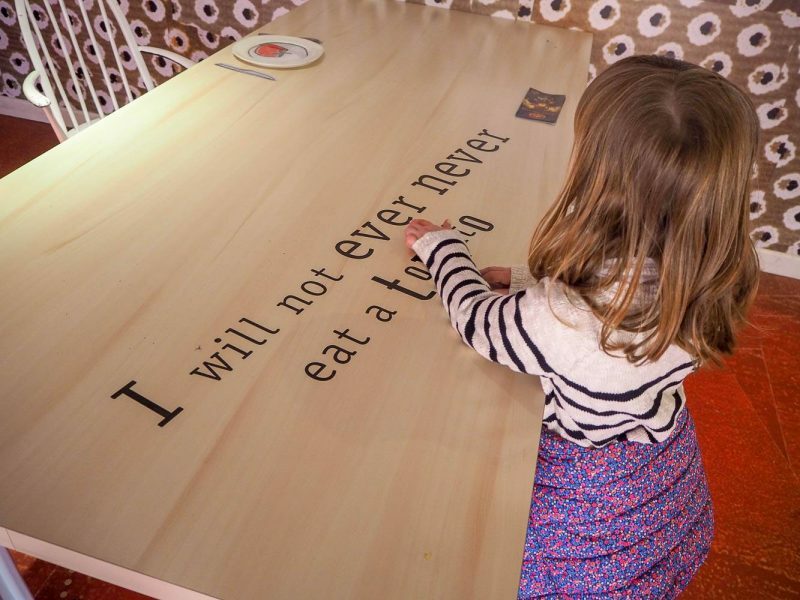 I would totally love to take my kids there – the are thrill seekers. Looks like your girls had a fab time. 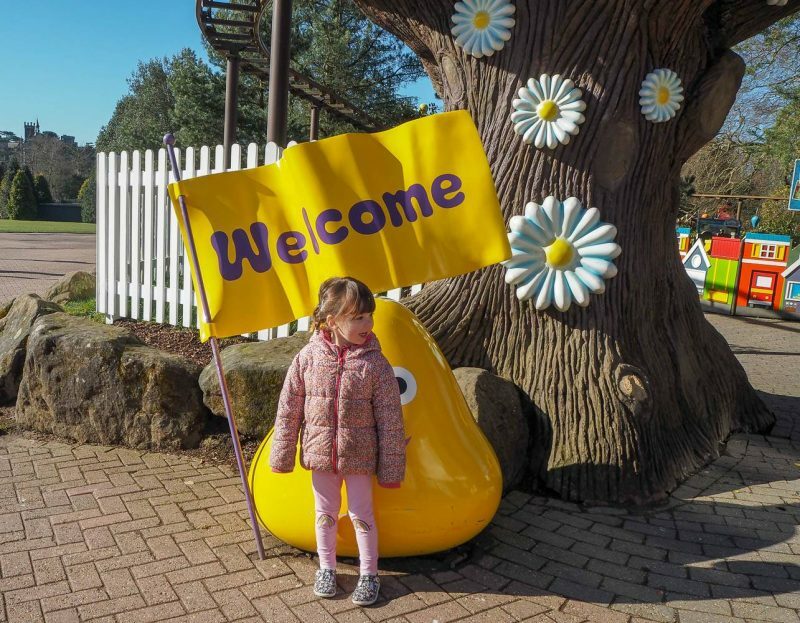 Cbeebies Land is brillaint – we went to Alton Towers for the first time last year and E & E loved it so much! Oh wow it looks like you had amazing weather! 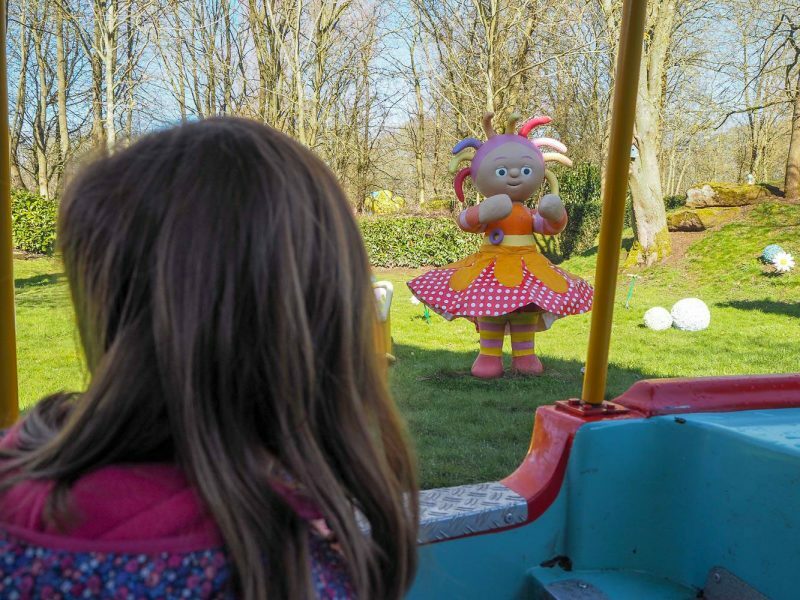 We love CBeebies land, we have been a couple of times as it’s fairly close to us. My daughter loves everything there, especially the Octonaut roller coaster, she keeps asking when we are going back! 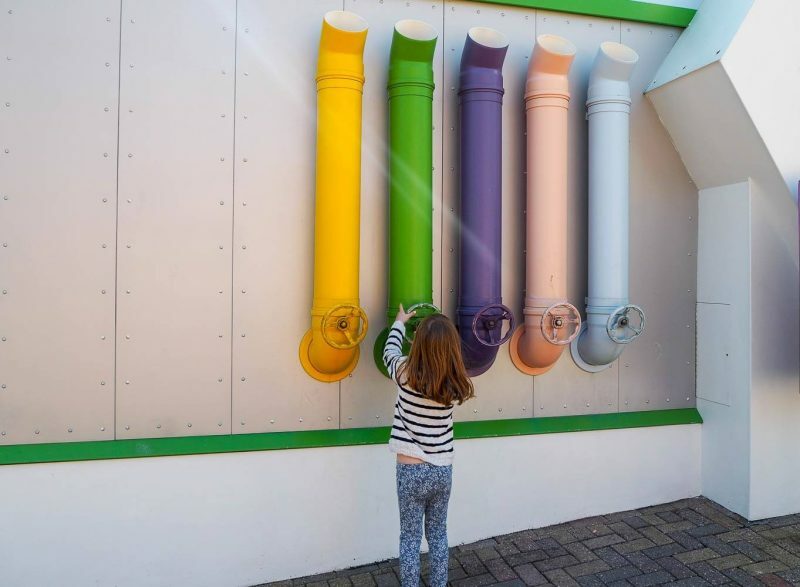 CBeebies land looks amazing for little ones. looks like you had a lovely day. My girls love CBeebies. I haven’t been to Alton towers for about 4 years but I’m planing on going for my 30th birthday in June. You all looked like you had a great time and lively weather for the day too. 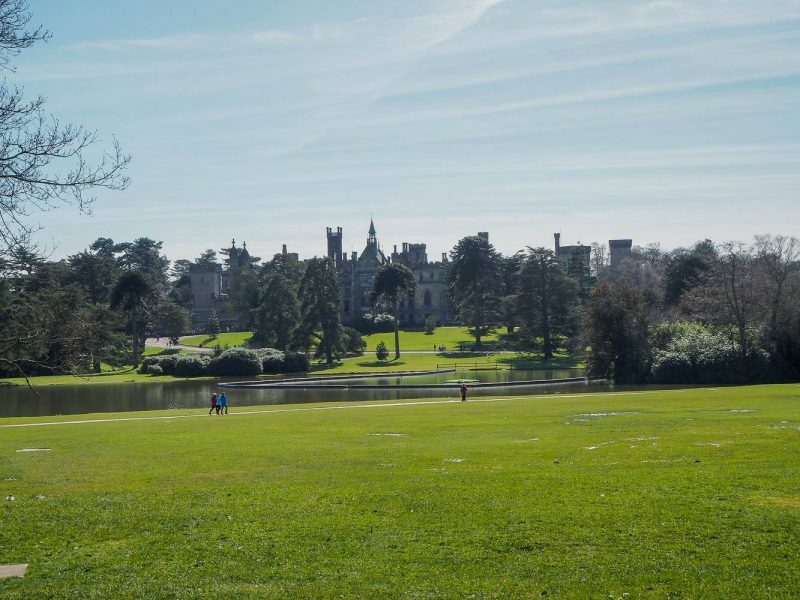 I haven’t been to Alton towers for about 4 years but I’m planing on going for my 30th birthday in June. You all looked like you had a great time and lovely weather for the day too. This looks like a brilliant day out! I went to Alton Towers years and years ago, on a school trip actually, and I always forget it has more than just thrill rides! This was exactly what I needed to read as we are hoping to take the boys in June for Ps birthday. There seems like there is a lot to do. I think I’m definitely going to have to plan a trip here next year – I’ve just read this post with a constant “Can I go there?” in my ear! I think Max is quite keen! I really want to make it before he gets a bit too old too, so I think next year will be ideal. 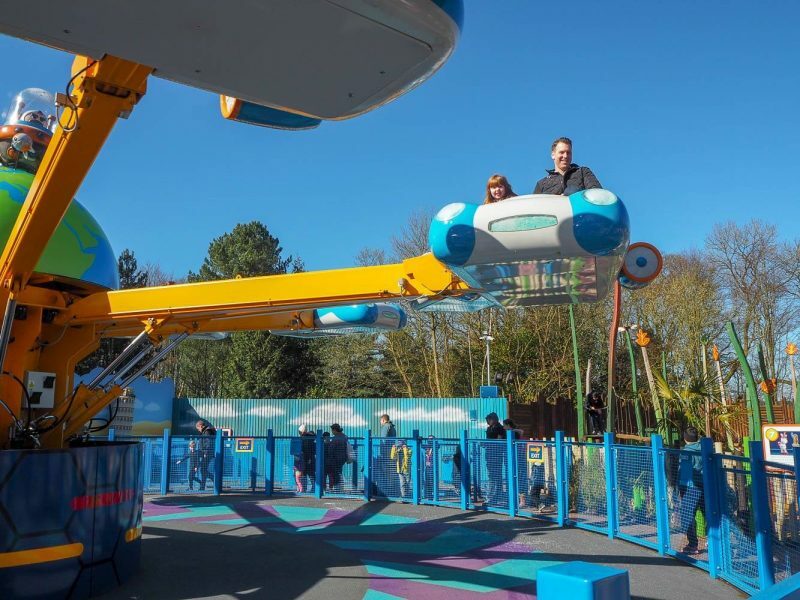 I love when theme parks have a dedicated section for little ones like this, to save you walking their little legs across the whole park looking for the rides they can go on. It’s always a tiring enough day as it is so it makes a real difference! I want to go here!! 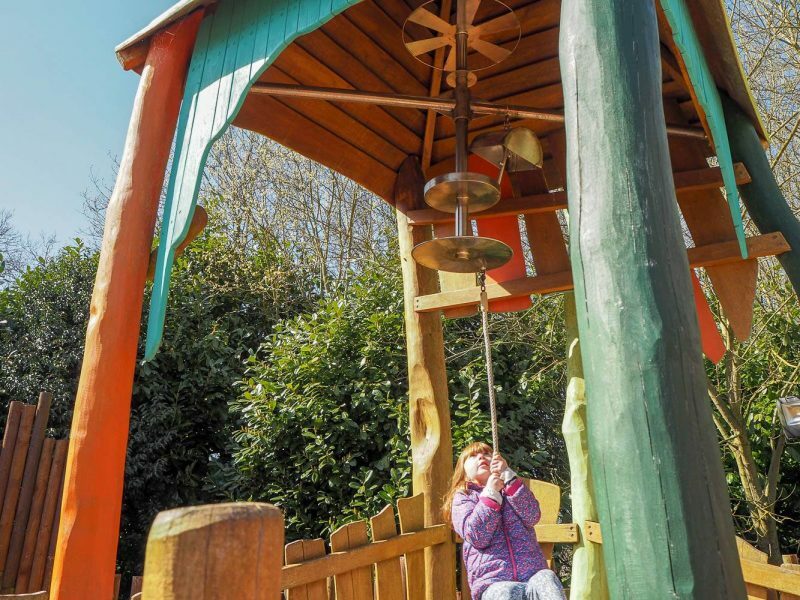 C-beebies land looks fabulous and a brilliant day for the whole family. My two would be going crazy in the Tree-Fu Tom Training Camp. I am going to have to plan a trip here and google hotels near-by. I haven’t been to Alton Towers for soooo long! The rapids are my favourites! Must go back this year!